Did you know that mushrooms are neither animal nor plant? They belong to a whole different group called fungi. They contain no fat, sugar, or salt but they are still tasty, thanks to their natural glutamate content or umami flavour. While mushrooms naturally taste good despite being salt and cholesterol-free, these fungi are also nutrient-dense as they are packed with fibre, antioxidants, B vitamins, vitamin D, potassium, and selenium. Mushrooms are also free from gluten, making them ideal for people with coeliac disease (Horticulture Innovation Australia, 2016). Being beneficial to health, not to mention delicious to the palate, mushrooms are indeed a valuable crop. While we can easily purchase them in stores, fresh mushrooms are tastier, more nutritious, and free from harmful chemicals. And learning how to grow them at home is definitely a more rewarding experience. To make oyster mushrooms grow, you will be needing a spawn and a good growing medium. Hardwood logs and shredded straw are the most common. 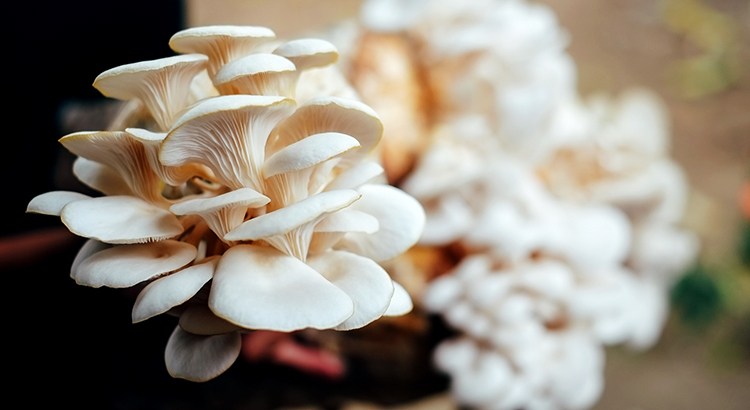 Oyster mushrooms have also been successfully farmed using spent coffee grounds. This even helped prevent tons of coffee grounds from going into the landfill. Learn. Why do I need to keep my farm moist? How do I harvest my mushrooms properly? Finding answers to so many questions leads to more learning in the process. Beautify. Having mushrooms in your garden are visually appealing. Each farm creates a unique form that is exciting to watch develop day by day. Explore. With so many fresh mushrooms on hand, you’ll be busy finding new ways to prepare and cook them. Think saute today and soup tomorrow! Interact. Growing mushrooms is great. But meeting people at workshops who share the same interest is even better. It’s just fun to be curious and fascinated together. Enjoy! Growing anything yourself gives a great sense of fulfilment and satisfaction. 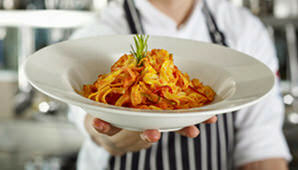 So if you love creating and working with your hands, we highly recommend you start making room for mushrooms! I am (and always has been) interested in growing my own crop of mushrooms. Can you please tell me where I can purchase and the cost of this mushroom kit? Do they produce only one crop of mushrooms? Is there money back guarantee on unsuccessful kits? Fluid Growers’ kits for growing oyster mushrooms are available at Kitchen Warehouse in-store and online 🙂 Kindly check our link for further information: https://www.kitchenwarehouse.com.au/Back-To-The-Roots-Organic-Mushroom-Farm. Also, our supplier guarantees 100% growth success for their kits and you can also visit their FAQ page to address your other queries: https://fluidgrowers.com.au/pages/support/faqs-mushroom-farm.html#What_type_of_mushroom_does_the_Mushroom_Mini_Farm_grow. Happy mushroom growing!